Bay windows do more than just add architectural interest to your home. They bring life to your indoors by filling it with plenty of natural light and cool breezes. Furthermore, they provide additional space that you can use for different functions. Using bay windows for dining? Then, a built-in banquette is your best choice. This features a snug, curved arrangement, which creates a warm, friendly and comfortable atmosphere. Be sure that the height of the table provides enough legroom. If you have a box bay window, where the panes jut out at a 90-degree angle, consider using the extra floor space for a built-in table so you can admire your view as you eat or read. Another common use for bay replacement windows is a seating nook. With the right design, you can turn it into a serene retreat where you can relax after an exhausting day. It also captures your wonderful scenery, which adds visual appeal to the area. For a more inviting vibe, dress it up with chic cushions, elegant drapes and soft hues. You may also add hidden storage, such as cabinetry or drawers, to maximize the functionality of the space while maintaining a clean look. Connecting with nature can do wonders for your health. It helps you become more productive by improving your mood, concentration and creative functions. That’s why we suggest that you use your bay windows as your study area. All you need is a freestanding desk. Before working on this, make sure that the glare isn’t too strong on your computer screen. You may use sheer window treatments to control lighting while still allowing a view of the outdoors. 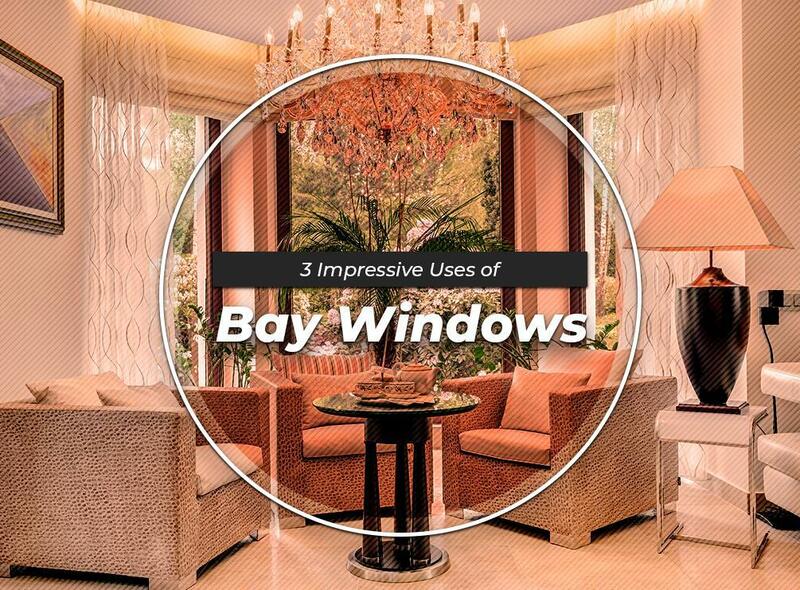 These are just a few of the possible functions that you can get out of bay windows. If you need more ideas, Skyline Roofing Company is here to help. We will listen to your concerns, assess your home and come up with the perfect design. Apart from replacement windows, we also specialize in roofing, gutters and siding. Give us a call at (770) 561-0297 to learn more about our products and services. We serve Alpharetta, Gainesville and nearby areas in Georgia.